federal loans remain at 100 percent of the award. I understand that the amount of financial aid offered to me is based upon my living arrangements either on campus or in approved off-campus housing. If my living arrangements change to living at home with parents and commuting to campus at any time during the period for which aid is awarded, I am required to notify the Office of Financial Aid in accordance with these financial aid policies. I understand that if any part of my award contains anticipated resources from another agency, such as a private scholarship, I am required to provide such agency with any data requested for continuation of the scholarship. I understand that I must inform the Office of Financial Aid of any additional financial assistance or resources available to me other than those that are disclosed on my financial aid award offer. Any financial resources in excess of my established federal financial aid eligibility may result in a reduction of some of my need-based aid. I understand that if the donor of any endowed scholarship I have accepted so requests, my acceptance of the scholarship has authorized the Office of Financial Aid to provide the donor with my major and academic interests. I understand that after all of my financial aid has been credited directly to my account each term by the Student Accounts Office to cover my college debts (e.g., tuition, fees, room, board, and miscellaneous charges, health center, library, etc. ), any balance will be refunded back to me in accordance with these financial aid policies unless I have provided authorization for excess funds to be left on my account for a future term. I understand that if I am awarded a job on campus, I am responsible for entering my work hours after each shift and submitting my electronic time sheet for supervisor approval. I further understand that it is my responsibility to meet the deadlines established for submission of time sheets. If I am working under the Federal Work/Study program, I must monitor my earnings so as not to earn over the work award limit in my financial aid award. I understand that if I choose to accept a Federal Direct Subsidized/Unsubsidized Loan I must undergo “borrower entrance loan counseling” and complete a promissory note before my loan can be processed and credited to my account. I understand that if I borrow funds under the Federal Direct Loan program, I must complete online exit counseling before graduating or withdrawing from the College. The Office of Financial Aid will provide information about completing the online exit counseling each May for current seniors. I understand that each year I must complete or renew a Free Application for Federal Student Aid (FAFSA) in order to be considered for federal and state financial aid programs. Students who are not on Financial Aid Satisfactory Academic Progress (SAP) probation may withdraw from a course without impacting their current financial aid if the withdrawal paperwork is submitted to the Registrar’s Office after Tuesday of 3rd week and prior to Friday of 8th week. Note that the combined effect of withdrawals and/or failed courses could impact Financial Aid Satisfactory Academic Progress, and therefore impact future financial aid eligibility. Kalamazoo College rarely reconsiders a financial aid award; however, if there are extraordinary financial obstacles or significant long-term financial setbacks not revealed in the Free Application for Federal Student Aid (FAFSA) that may warrant a review by the Office of Financial Aid. All financial aid appeals must be made in writing (email, fax or regular mail) to the Kalamazoo College Office of Financial Aid. The Appeals Review Committee, consisting of the director of financial aid, two financial aid analysts, and the dean of admission and financial aid, meets regularly to consider requests for appeal. The Committee will require documentation of the financial circumstances warranting the appeal. 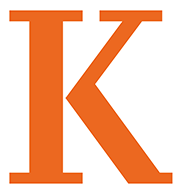 Please note: Kalamazoo College is an NCAA Division III school; therefore, we cannot consider athletics in the financial aid process. Upon arrival, appeals will be screened by the Financial Aid Office process coordinator who will redact any comments in the correspondence referencing athletics prior to distributing the information to the Appeals Committee.